UPDATE | Following the shock announcement that Discovery's channels might be taken off Sky and NOW TV next week after talks to secure a new carriage deal failed, the broadcaster has launched a high-profile campaign to inform viewers and encourage Sky to keep the channels. The normal Discovery UK website now redirects to a special "Keep Discovery" website, which alerts Sky and NOW TV users in the UK and Republic of Ireland of the threatened loss of the channels, and the shows subscribers are likely to miss out on. Social media channels are being used to drive the message to more users. It is hoped viewers complaining to Sky and threatening to cancel their Sky TV subscription will provide additional leverage in last ditch talks to keep the channels going on Sky after next Tuesday, 31st January. 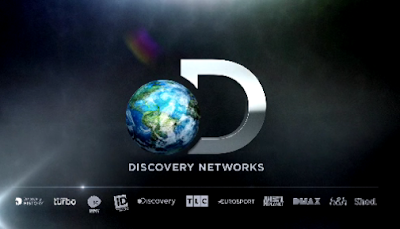 In total, 12 channels are affected by the dispute between Sky and Discovery: Discovery Channel, TLC, Eurosport 1, Eurosport 2, Animal Planet, Investigation Discovery, DMAX, Discovery Turbo, Discovery Shed, Discovery Science, Discovery History and Home & Health. Discovery's Freeview channel Quest, which is encrypted on satellite and thus only available to Sky via a dish is not mentioned in the list provided by Discovery, but Sky says it will also be affected. With days to go until the channel's carriage deal expired, Discovery confirmed it was "committed to finding a solution with Sky in order to keep bringing you the channels you love." Sky and Discovery settle their dispute - affected channels will continue to be available on Sky. High-profile carriage deals regularly feature in the US TV market, which blackouts of channels on certain cable and satellite networks not unheard of - here affected parties routinely make use of the internet to spread the message to viewers. In the UK, it happens less often. The last major spat between operators that caused viewers to lose channels occurred ten years ago in 2007, when Sky's channels were pulled off Virgin Media following unresolved carriage deal talks.